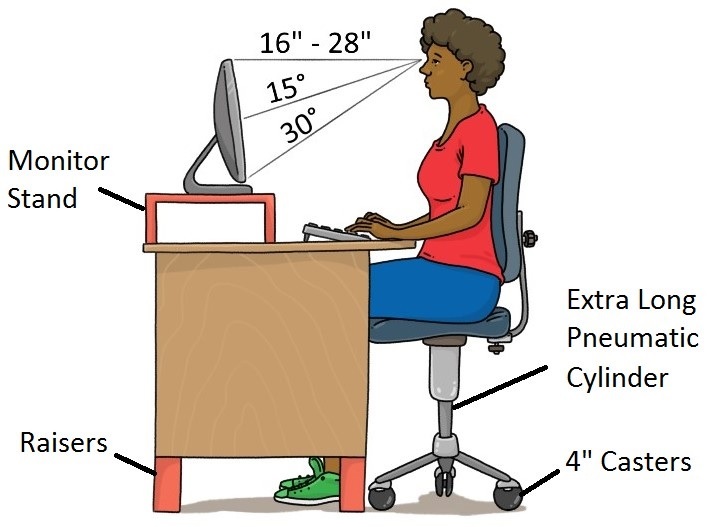 This page covers everything you need to know about extra tall office chairs for tall people. As with other manufactured objects, office chairs tend to be too small for tall people. This can be rather uncomfortable. Worse, it can gradually lead to injury. The solution is to either get a more suitable office chair or modify an existing office chair for tall people. Raising your desk and monitor to suitable heights is also important. All this is covered on this page. But if want to cut to the chase, then check out the four items below. These can vastly improve workstations and office chairs for tall people. 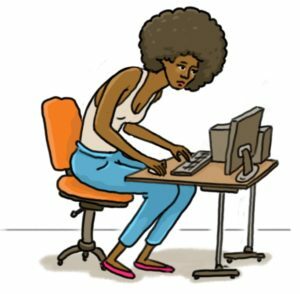 A tall office chair for tall people should have a higher seat, a longer seat pan, a taller back, and a larger and higher lumbar curve. That’s right, the most luxurious chair in the world is trash to us unless the measurements suit us. 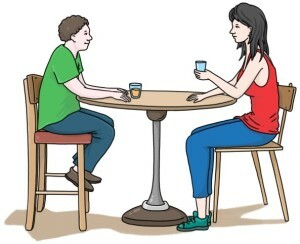 The question is: Where do you find a tall friendly chair? If you search the web for tall chairs for tall people, you might initially get your hopes up; there are tons of listings. What you’ll quickly notice though is that these are all about chairs for big and tall people, not simply tall people. And in reality, these are primarily intended for people who are moderately big and moderately tall (slightly over-sized people). This being said, tall people may still somewhat prefer big and tall chairs over standard office chairs. Below are a few big and tall office chairs. Of all the big and tall chairs out there, the Herman Miller Aeron Large (C) is probably the best office chair for tall people. 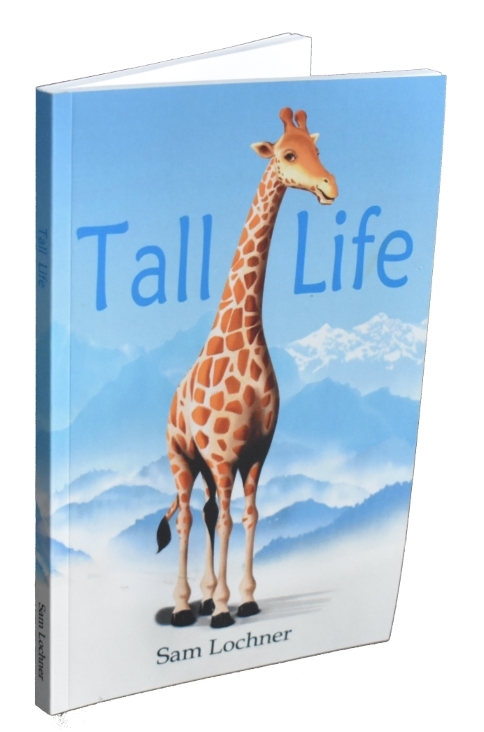 It is said to be suitable for heights up 6′6″. And in fact, it is the chair that is mentioned the most in the various tall forums. I myself (6′7″) have sat in one and thought it fairly decent. These chairs have a plethora of adjustments, and perhaps this is why they can accommodate a wide variety of body shapes and sizes. And what about office chairs specifically for tall people, you ask? I’ve searched and searched and have only come across one chair that claims to be specifically for tall people (drafting chairs don’t count!). That is the BodyBilt Stretch Ergonomic Chair (J2509 and J3509). It is intended for people 6′ and up, but no upper height limit is specified. Reviews are hard to find and I haven’t personally tested this one out. But the specifications do look good. Yet another option, if you have the cash, is a custom office chair for tall people. There are a variety of companies that say they can do custom. Most of the time, however, this is more to do with materials and minor tweaks and not overall dimensions. An exception is Life Form Chairs, who claim they can do custom sizing. If you’re looking for the ultimate tall office chair, this might just be the way to go. The most straight forward modification is to increase the seat height. 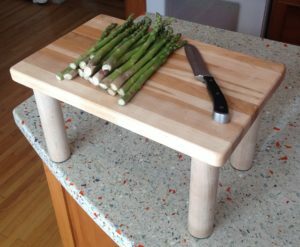 The easiest way to do this is with extra large casters, including the 4″ ones below. But if this doesn’t get you enough additional seat height, then another option is to swap in a longer cylinder. These can be found in a variety of lengths all the way up to drafting stool size. The curvatures of standard chair backs don’t match up well with the taller persons natural spinal curvatures. In particular, lumbar supports are too low and not big enough. One solution is to use something like an Obis Form. 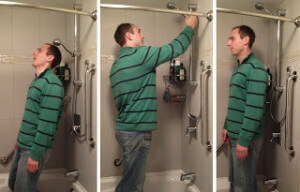 While these too are designed for average height people, you might be able to adjust it to suit your back. There are also inflatable bladders that offer more adjustability. And of course a simple pillow can also often do the trick. 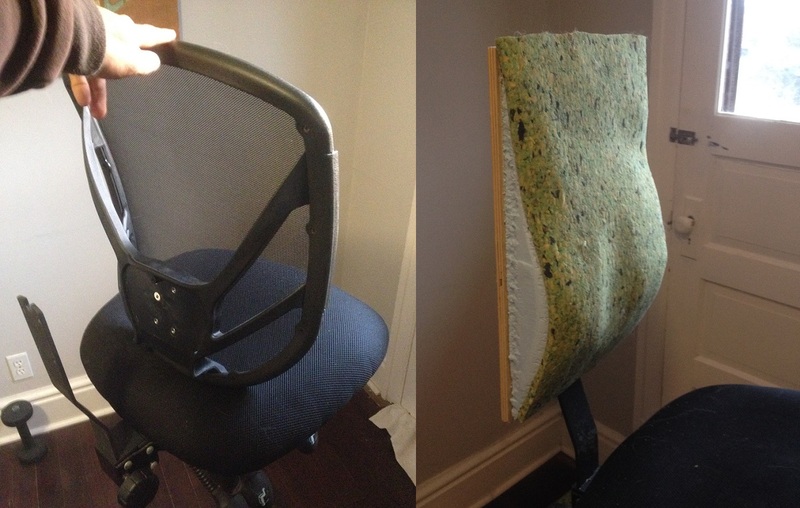 If all of the above fails you, you might consider rebuilding a standard office chair to make it tall friendly. It is often possible to remove the seat pan and re-position it further forward or swap in a custom built one. Similarly, an entirely new back can be fashioned. I actually took a shot at a custom chair back myself. It consisted of a sheet of plywood, some high density insulation I carved to suit my spine’s curvatures, some carpet padding, and a canvas covering. It was a rather interesting project I’ll tell you more about in a future post. The best tall office chairs for tall people in the world won’t do you much good if your desk is too low. And as with chairs, desks tend not to be made for tall people. But desks are even easier to raise than chairs. There are all kinds of risers out there, or you can hack it with some 2x4s or cinder blocks. And of course there are sit stand desks too with loads of adjustability. Yet another option is to simply put a raised platform on top of your desk for your mouse and keyboard. Similarly, there are all kinds of monitor stands and arms out there to raise your monitor. In general, there are endless ways for the tall person to get their joints into an ergonomically suitable configuration, you just have to find one that works for you. 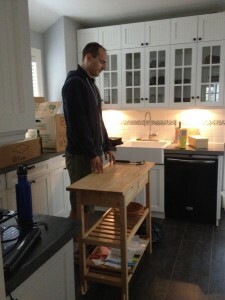 My own personal favorite setup is a DIY drafting stool coupled with a DIY standing height desk, allowing me to move quickly back and forth between sitting and standing, for cheap! This final section covers some basic computer workstation ergonomic recommendations that apply to all people regardless of height. These consider the whole desk/chair/monitor/keyboard and mouse setup as if just one element is poorly positioned, injury becomes far more likely. There’s a variety of schools of thought on how computer workstations should be set up. As an example, below are some common points (United States Department of Labor’s Occupational Safety and Health Administration and Canadian Centre for Occupational Health and Safety). Finally, we would all do good to remember that sitting all day, regardless of the chair, isn’t good for us. A static posture is hard on the joints as well as the cardiovascular system. 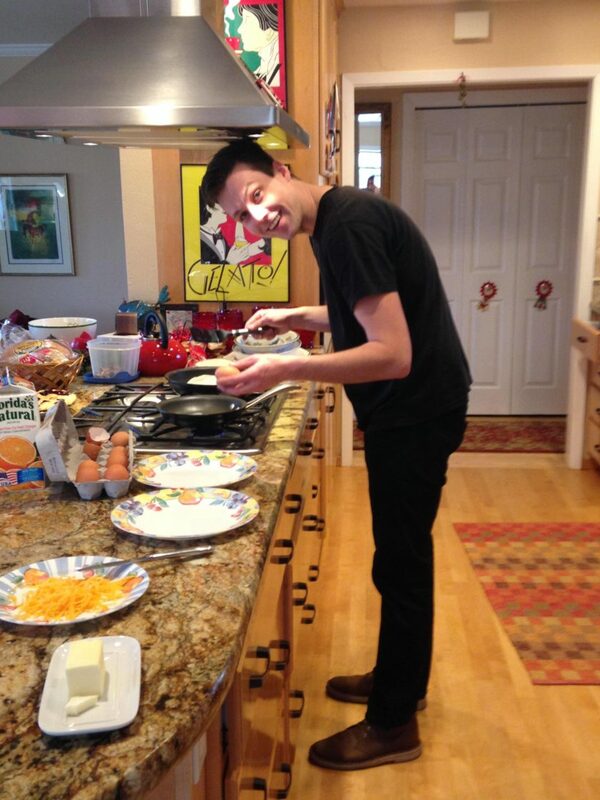 Tall people face enough additional health hazards as it is, so let’s get up and put those long limbs to good use! If a desk is too short and it has threaded feet it can be raised. Take the foot to some place like home depot. Grab a threaded rod of the same diameter. Next get threaded rod connectors. You will need a dremel or somthing to cut the threaded rod. Put the foot and rod in the threaded connector. 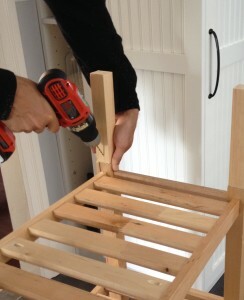 Once you figure out the correct height Locktite or glue can be used to give a secure connection. Now it can be screwed back into the desk. If you want to make it higher still, nuts can be added on top the threaded connector for stability. I hadn’t ever heard the term club chair until you mentioned it. I’ll have to look into these at some point. If you find anything good, please comment here, thanks!